It’s a nice, round number, 300, John Hennessey’s goal for the top speed in miles per hour for his new supercar, the Venom F5. In the works for about half a decade, the Hennessey Venom F5 will come with a bespoke 8.0-liter twin-turbo V-8, rated 1,600 hp and 1,300 pound-feet of torque. Hennessey Performance claims a 0.33 coefficient of drag and weight of less than 3,000 pounds, and the chassis features traction control, adjustable suspension, and a carbon-fiber tub, though no active aero. 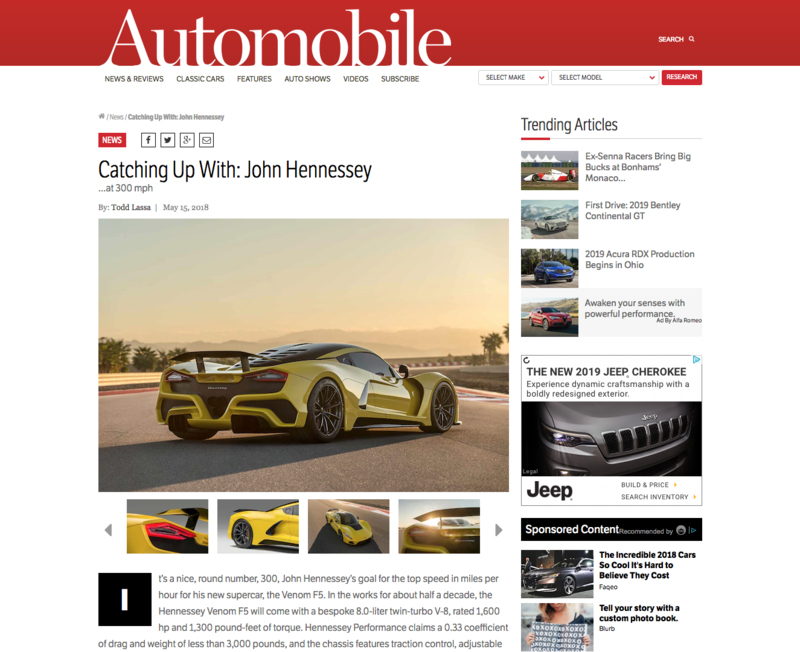 Continue reading Automobile Mag’s article on their website.